The GCC Sport Dispute Resolution Authority has been confirmed to have its permeant headquarters in the Kingdom of Bahrain, according to the Bahrain Olympic Committee. The authority, which came into existence as per an initiative of His Majesty the King’s Representative for Charity and Youth Affairs Shaikh Nasser bin Hamad Al Khalifa, will now select its secretariat council that includes secretary generals of the GCC National Olympic Committees. This was announced at the 88th meeting of Executive Office of Their Highnesses and Excellencies Presidents of GCC National Olympic Committees, which came to a close in Muscat on April 10. Their Highnesses and Excellencies presidents of GCC National Olympic Committee also submit their visions and ideas about another Shaikh Nasser initiative ‘GCC Physical Literacy’ to the GCC Secretariat General, which has already received a model of this project that was indeed implemented in Bahrain through BOC’s Olympic Academy under the slogan ‘Sport for Life’. Among most significant resolutions were shifting the premises of the GCC Women Sport Organising Committee to Bahrain by the end of August after it was based in Kuwait for more than 15 years. The GCC Volleyball Organising Committee’s headquarters will also be moved from Kuwait. Meanwhile, BOC secretary general Mohammed Al Nusuf has stressed that Bahrain sports enjoys exceptional support and follow up from the country’s leadership. Al Nusuf asserted the keenness of National Olympic Committees’ officials to achieve the objectives and aspirations of their majesties and Highness leaders of the GCC countries. He commended the harmony and cohesion among members of their Highnesses and Excellencies, presidents of the GCC NOCs and for choosing the Kingdom of Bahrain as headquarters of the Dispute Resolution Authority. Al Nusuf noted that this initiative of Shaikh Nasser aims to activate the law role and adopting contribution to develop sports competitions, especially on the international level. Meanwhile, Bahrain’s Youth and Sports Affairs Minister Ayman bin Tawfiq Al Moayyed went to Muscat to head Bahrain’s delegation at their Highnesses and Excellencies GCC Youth and Sports Ministers’ meeting. 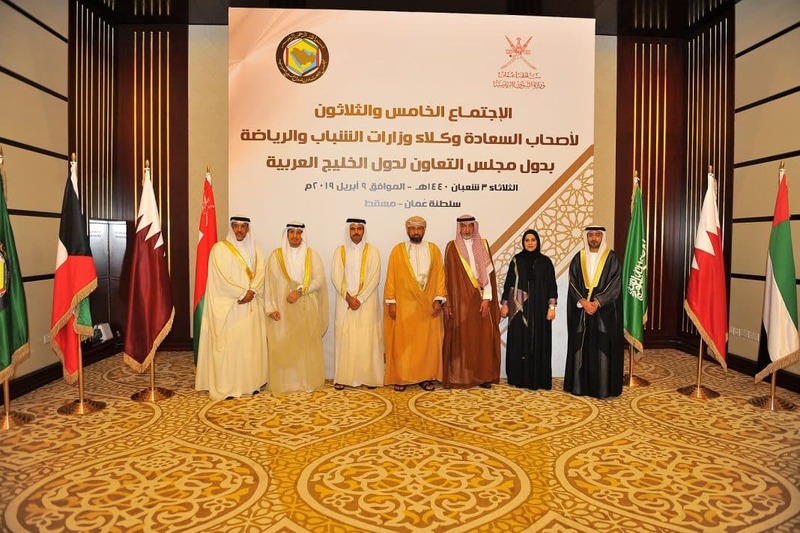 In this meeting, the final statement of the 39th session of the GCC Supreme Council were discussed, while the implementation of the resolutions of 31st meeting of GCC Ministers of Youth and Sports was also discussed. The Undersecretaries of the Ministries of Youth and Sports meeting witnessed a massive praise for the Kingdom of Bahrain role in supporting the youth and integrating the objectives of sustainable development in joint youth work as the Ministry of Youth and Sports Affairs held the 9th International Youth Conference on the sidelines of the 31st meeting of Their Highnesses and Excellencies Youth and Sports Ministers meeting.